In irrigation pump stations there are often a variety of self-cleaning filters – ranging from disc, screen or media filters. There are common misconceptions about the size, set and operation of these valves. In this article we will address these issues – ensuring optimum performance of your pump station. In irrigation pump stations there are often a variety of self-cleaning filters – ranging from disc, screen or media filters – which protect the irrigation infrastructure. Self-cleaning filters require a minimum amount of pressure to enable a thorough clean. Subsequently, there is often a need for a pressure sustaining valve to be located directly under the filter. This allows the filter to operate as designed and ensure that a pump does not run off the curve when a system is first charging sub mains. If you are using fixed speed pumps that produce a range of pressures dependent on flow, irrigation designs play a crucial role. 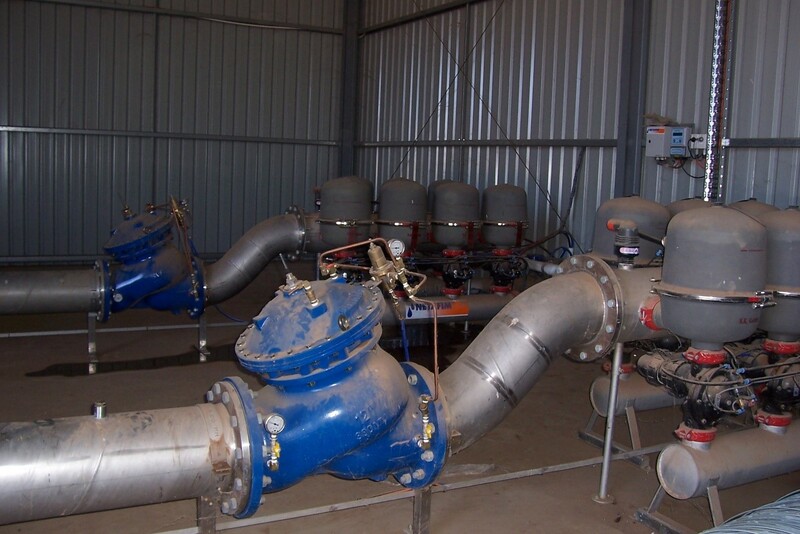 The system is designed to ensure constant main line pressure – regardless of flow and irrigation shifts. When these two functions work together it is referred to as a pressure sustaining and reducing function. There are common misconceptions about the size, set and operation of these valves. In this article we will address these issues – ensuring optimum performance of your pump station. 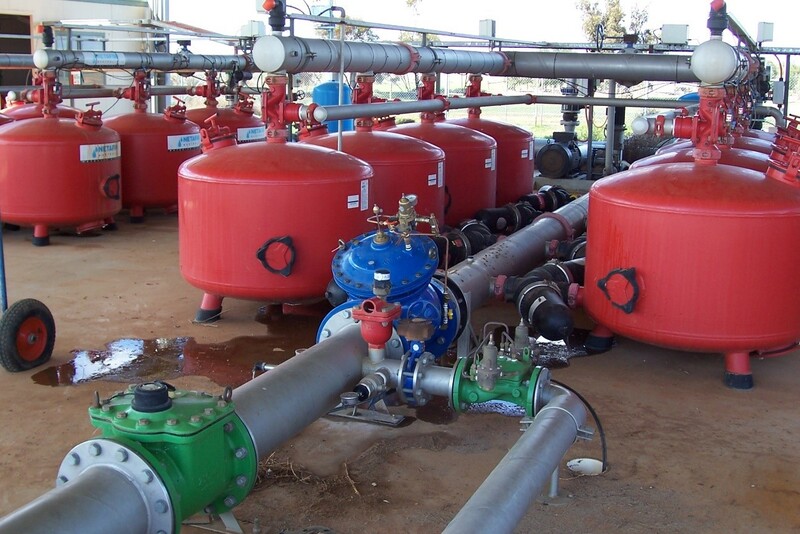 Depending on design valves can operate fully open with equal pressure in irrigation applications. When there is equal pressure across the valve, minimal pressure loss is required. Under conditions where irrigation shifts or filters go into back wash, the sustaining function has to operate quickly to maintain pressure. The Bermad 400 series has always proven itself in pumping and filter stations. Its quality of performance and speed is further enhanced by high flow capacity bronze pilots. However, in applications with extremely low pressures and frequent back wash – an alternative valve is better suited. Under these circumstances, the double-chambered Bermad 700 series basic valve is a good option. This design allows for immediate response, providing optimum performance while sustaining. The Bermad 700 series double chamber control for fast action to avoid pump cavitation in shift change. It is essential to understand all the hydraulic conditions of the valve’s application; as different expectations require consideration for both 700 or 400 series valves upon install. To correctly install a sustaining and reducing valve in the field you will need to set the Sustaining and Reducing functions independently. Turn the sustaining pilot fully clockwise to ensure that the valve is closed. Open up a greater number of irrigation shifts than the pump can cope with – this is to ensure a higher than usual flow. Turn the bolt on the pilot anti-clockwise until the valve begins to open. Continue to open until the pressure set point is achieved. Once set, tighten the locknut on the sustaining pilot. Shut down all irrigation shifts and turn the pump off. Run the smallest irrigation shift – this will run the pump back on the curve, inducing high pump discharge pressure. Turn the adjustment bolt anti-clockwise in full and start the pump. Restart the pump and slowly turn the pressure reducing pilot clockwise – watching the pressure rise. After all the submains are fully charged – slowly turn the bolt clockwise ¼ of a turn at a time to increase the pressure downstream. When the pressure is achieved, tighten the locknut and turn the pump off. Follow these steps to ensure the functions are set accurately for efficient performance. The Bermad double chamber valves sustaining instantly on filter back wash, in a disc filter system. This application is a specialised solution that requires knowledge, experience and the optimum product solution. The simultaneous sustaining and reducing functions of this valve provides a valuable and reliable service to your irrigation system. To view an animation of a Bermad pump station application, visit our Youtube Channel. For more information on the Bermad 400 and 700 series, visit our online product pages or get in touch – we’d love to hear from you.